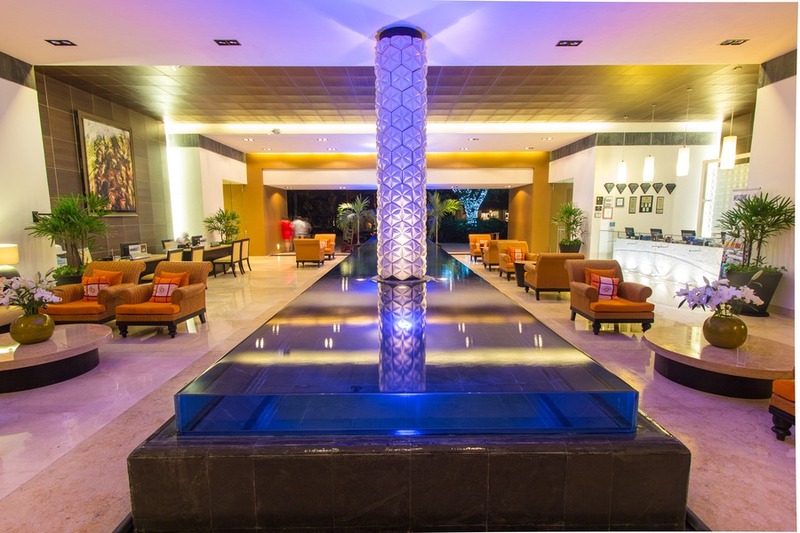 When you need a rejuvenating break, sometimes a mini getaway fits the bill. Fall’s golden leaves were falling in Canada and winter was just around the corner. 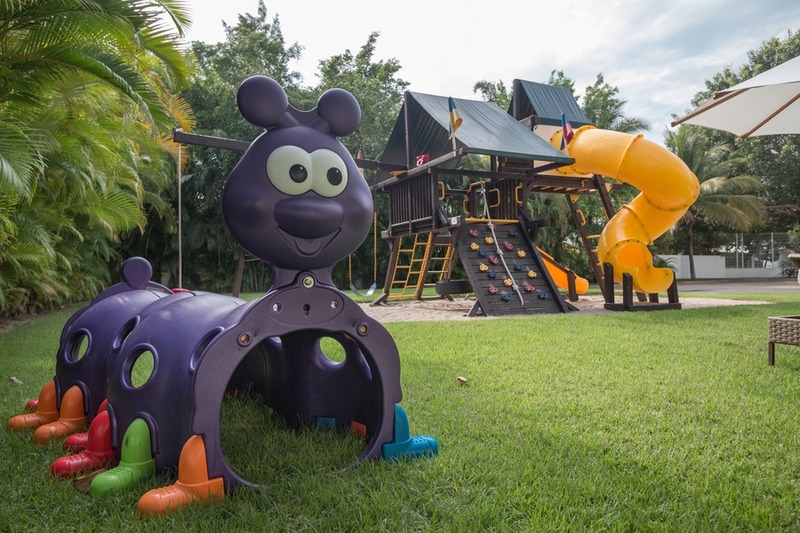 So when Marival Residences Luxury Resort asked us to come to Mexico and check out their brand new family friendly hotel, we all gave a resounding yes. Back to our favourite season – summer! But this destination is not just about the gorgeous weather. Here are 7 other reasons why I fell for Marival. And fell hard. See the end of the article for details on how to save $50 on your next reservation. We are big Mexico fans, having spent 2 months in Playa Del Carmen earlier this year. But we had never visited the west coast. 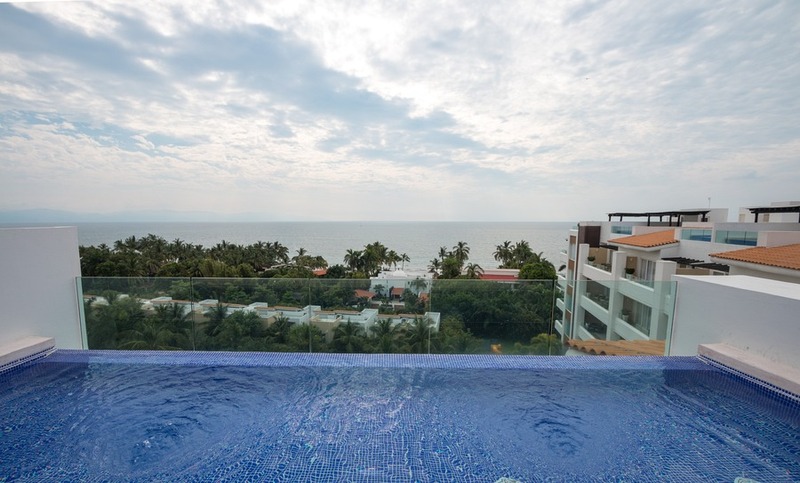 Marival is located in Riviera Nayarit, the northern neighbour of well-known Puerto Vallarta. Our flight was a quick 4.5 hours direct from Seattle to Puerto Vallarta. Alternatively, Canadians can fly direct from Calgary and folks in the US have over 20 direct flight options too. 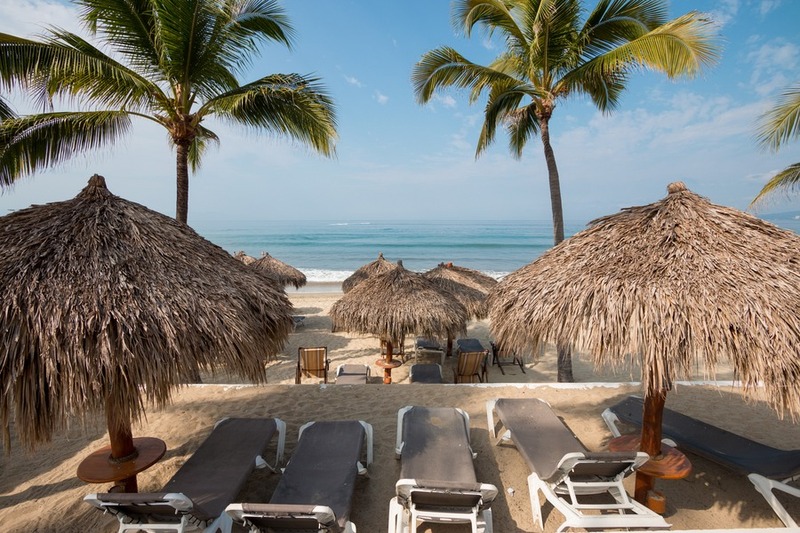 Once we arrived in Puerto Vallarta it was a quick 20-minute drive to the beautiful Riviera Nayarit and the deliciously dreamy 5 star Marival Residences Luxury Resort. 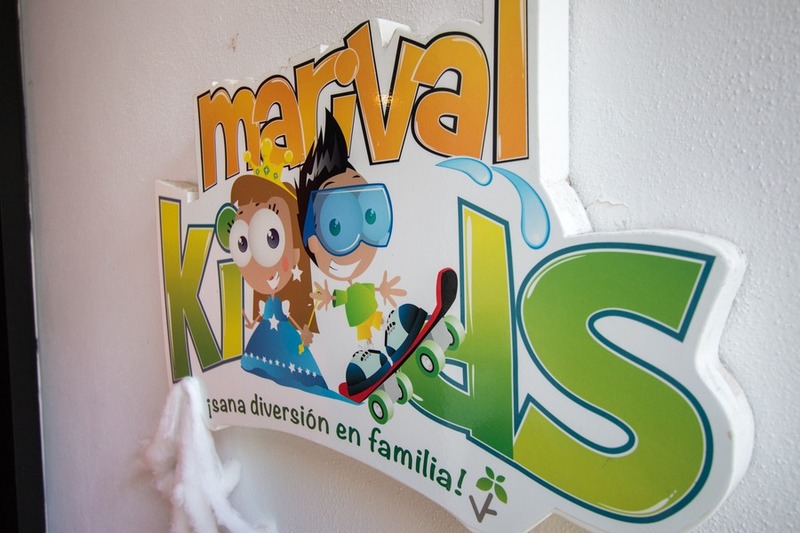 Marival adores families and their brand new Family Emotion package is a delight to every parent who’s gone on vacation. I’m quite certain they have thought of everything. 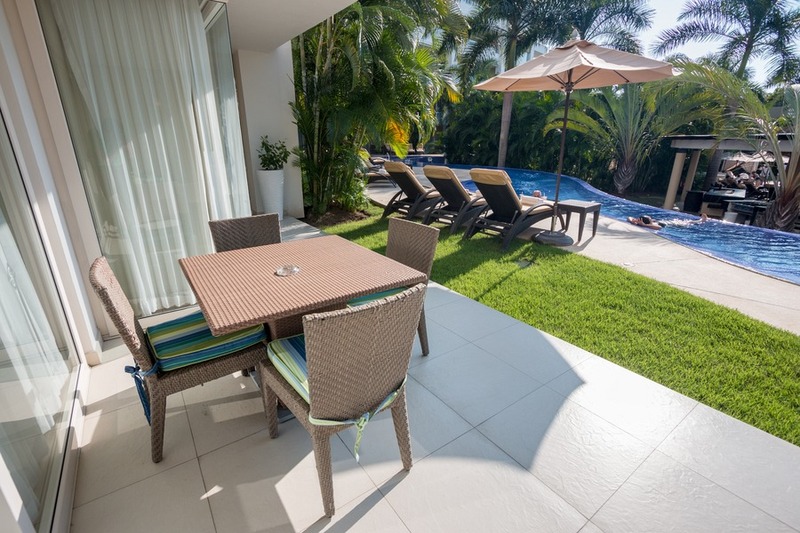 Pool essentials: 15 days before you arrive, you receive an email inviting you to choose from a list of available toys and items that you may need while on holiday – sunscreen, beach balls, etc. 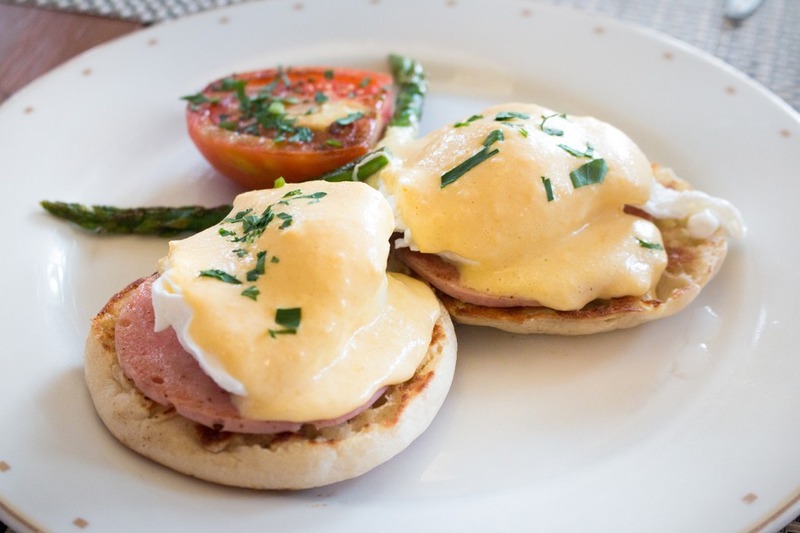 These will be waiting for you upon arrival. Welcome basket: Yummy treats wait for you in the kitchen so that your hungry kids who just stepped off a plane are quickly satisfied. We had fruit, wine, chocolate and chips (don’t worry, our kids didn’t drink the wine!). 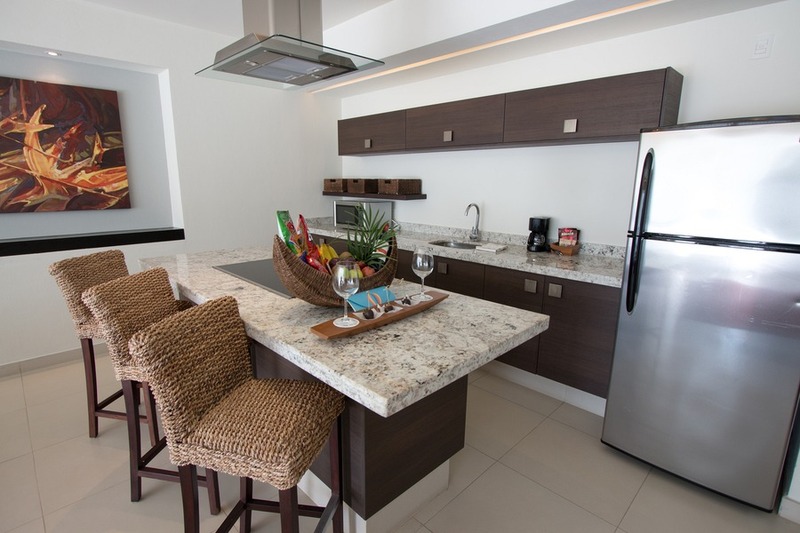 Not-so-mini bar drinks: The full-size refrigerator was stocked with soda, beer and chocolate milk! Plus, it gets refilled every day. Bath fun: The kids’ bathroom contained a couple buckets filled with rubber duckies, bubble bath and lots of fun bath items. 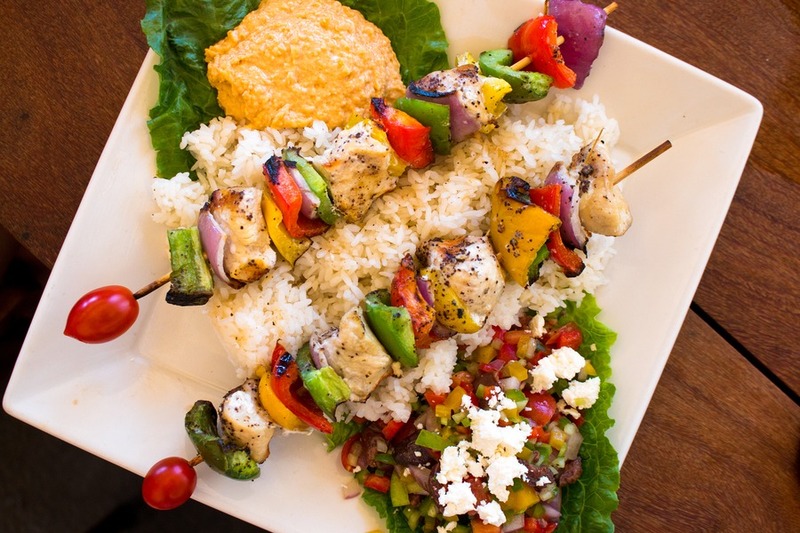 Family picnic: We ran out of time to try this, but you can order a fully prepared picnic to take wherever you like. Clever! L’Occitane: Yay, something for mum. In our suite there was a box of L’Occitane products for me to pamper myself while my youngsters were in kids’ club. My Own Concierge: We had the beautiful Raquel at our beck and call. She organised everything from restaurant reservations to activities. Nothing was too hard for her. Want More Fun: There is a Family Emotion office filled with Xbox consoles/games, books, board games, strollers, baby bouncers and more. 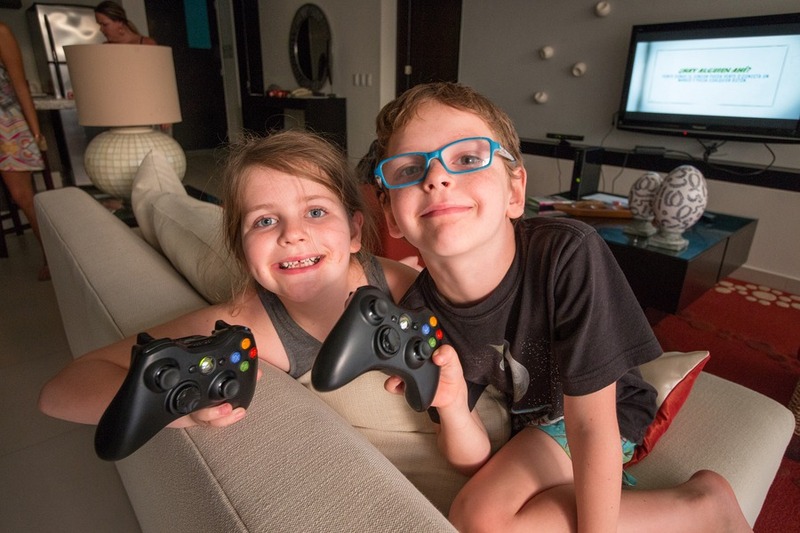 My kids were over the moon to be able to have an Xbox in the suite when the nanny arrived. Need a stroller? No problems! Did you say “nanny”: Yes, I did. 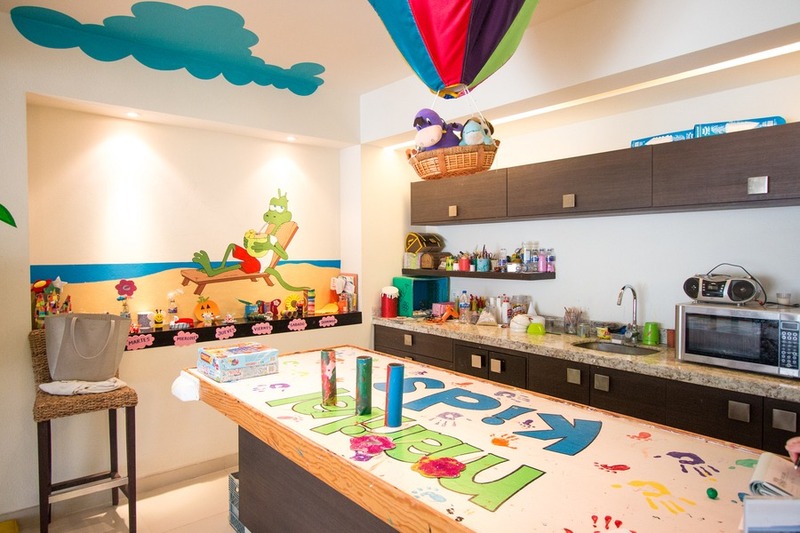 Up to 8 hours of child care is included during your stay. Conditions apply. Family photo shoot: When was the last time you captured a professional family photo? Well, your room comes with one! We received a photo album, a CD of the photos and a gift card to develop prints back at home. Kids Club: From 9am to 5pm every day you can drop off the kids to play video games, do craft and have the time of their life while you sip cocktails by the pool. Heaven! I am sure I am forgetting more things. You’ll just have to go to see all of it yourself. Or you can check out why Mia loves Marival on her new YouTube channel. It’s more than one hotel! 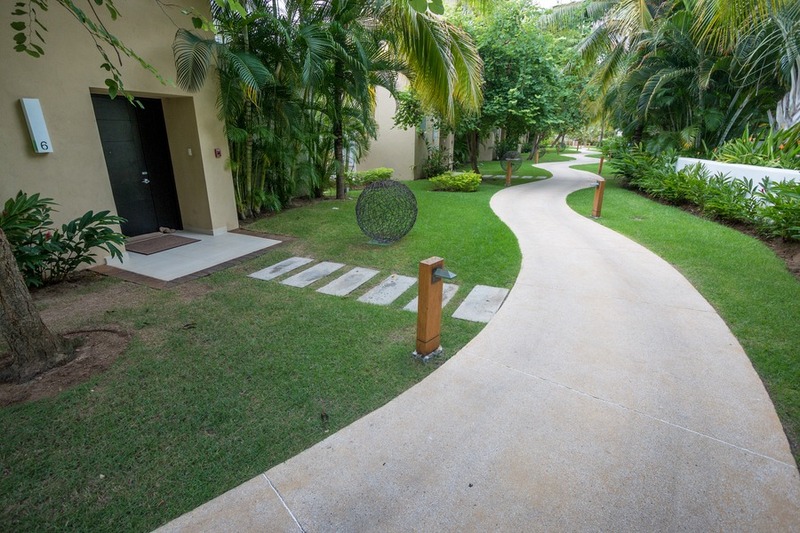 While we stayed at the Marival Residences we were given access to the nearby Marival Resort's facilities and restaurants. That meant more variety, more choice and more fun. This sister hotel is a 3-minute shuttle away. The free shuttle leaves and returns every 15 minutes from the lobby. Kids thought riding the golf cart was a highlight right alongside the pirate ship and waterslides. 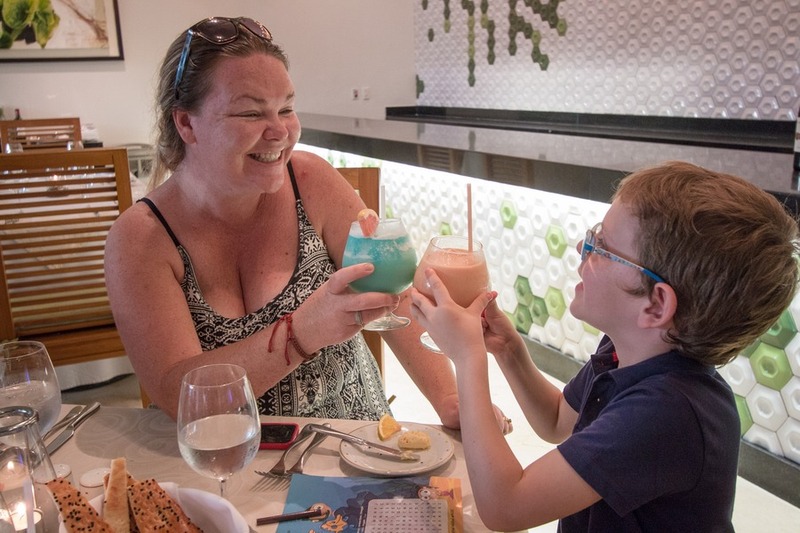 While in Marival Resort, Josh and I tried an array of drinks at the swim up pool bar. I am quickly becoming a fan of a no-worries vacation. 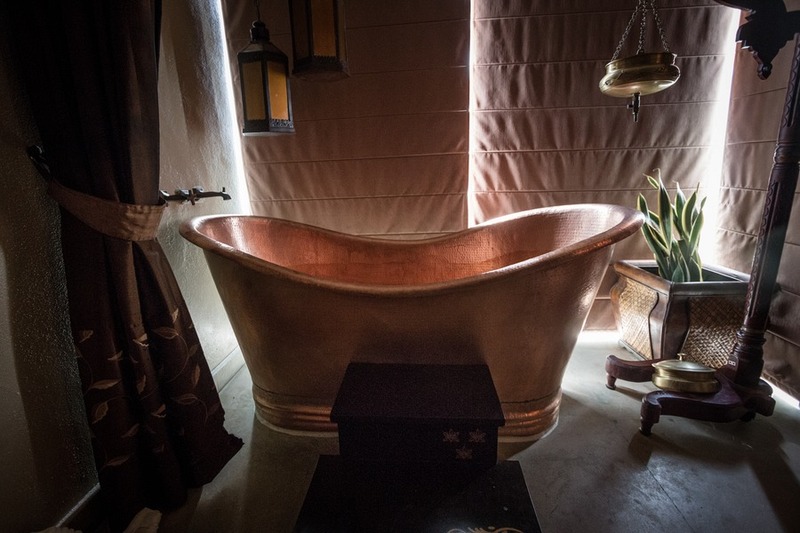 And once I put on the supplied stylish bracelet, I was privy to all I could eat and drink, including alcohol – mojitos, tequila, daiquiris, poolside or in the bath, you name it. Even 24-hour room service! We certainly didn’t go hungry. Soda and beer was replenished daily in our fridge as well. If you have the Family Emotion package (recommended), you’ll also find yoghurt and chocolate milk for the kids. Holy cow! Our room was bigger than our condo in Canada (1711 sq. ft.). 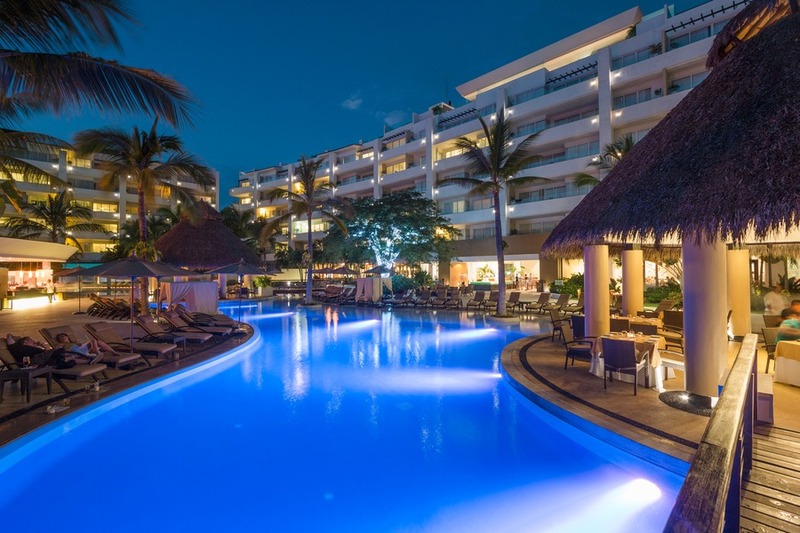 As a family we received a ground floor suite with access to a small semi-private pool and our very own exclusive lounge chairs. 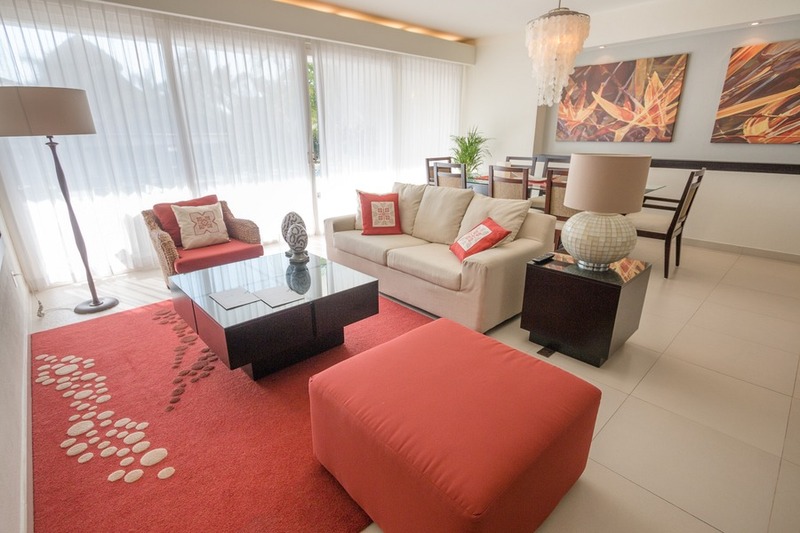 Inside was an open-plan living area with a kitchen, dining and family room. 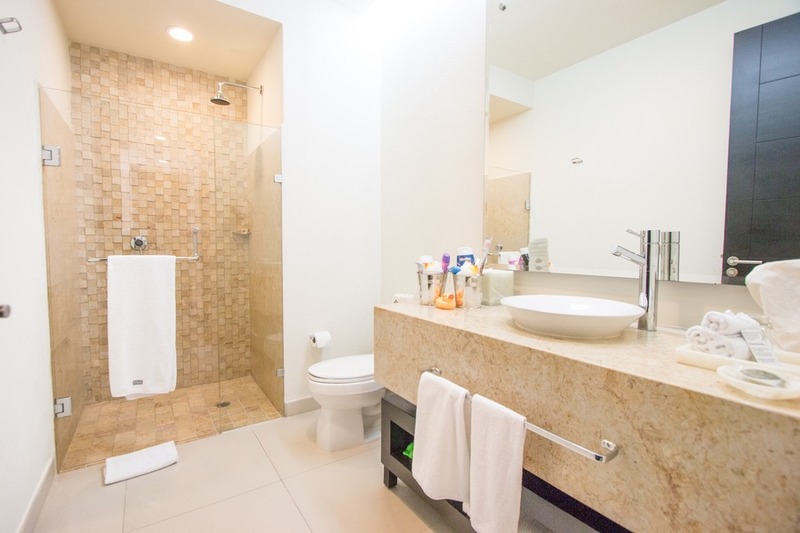 There were 2 bathrooms, one an ensuite with a sliding door that I could leave it open, giving the bath views of the master bedroom (and TV). Two bedrooms, one with 2 double beds and one with a super king. Oh, and did I mention there is a convenient washer and dryer? My only complaint was how firm the bed was. After I mentioned it to our concierge she organised for a soft mattress topper to be delivered, which made an incredible difference. And for the fairytale princesses (including me), there is a pillow menu. I tried 3 different pillows and found perfection in mixing soft and hard together. Every evening something delicious was delivered to the room. And one evening I spent an hour in the tub watching Channing Tatum on the TV in my bedroom while eating a selection of small cakes. Does life get any better? I do often gripe about slow wireless Internet speeds at hotels, but at a 4Mbps we were pleasantly surprised and our Facebook Live was easy out on our terrace. And I loved the welcome sign on the front door, so peachy! 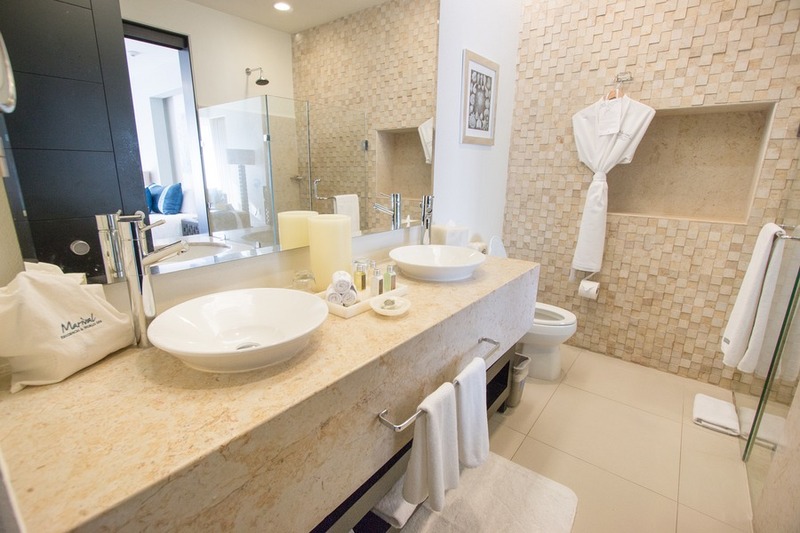 You can also choose from other room options like the penthouse with the best views and a private roof-top pool or the 4-bedroom villa with room for all the relatives or multiple small families. 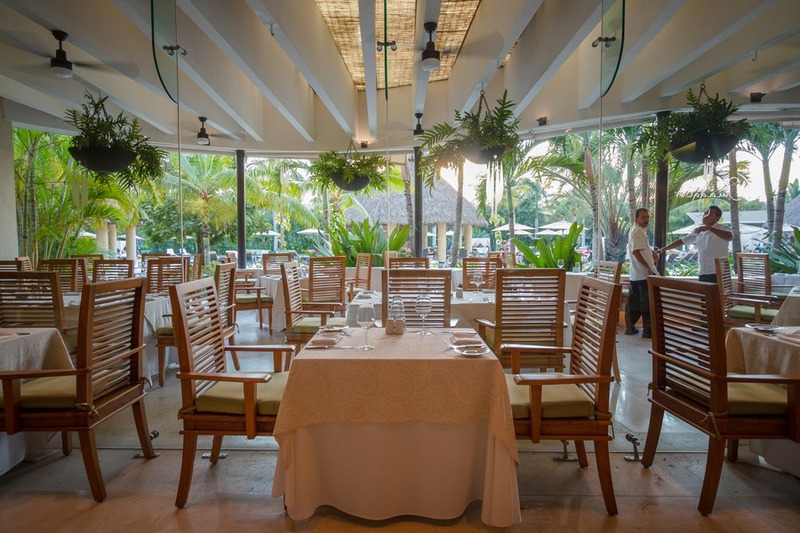 Like many luxury all-inclusive resorts, the Marival specialises in excellent cuisine. 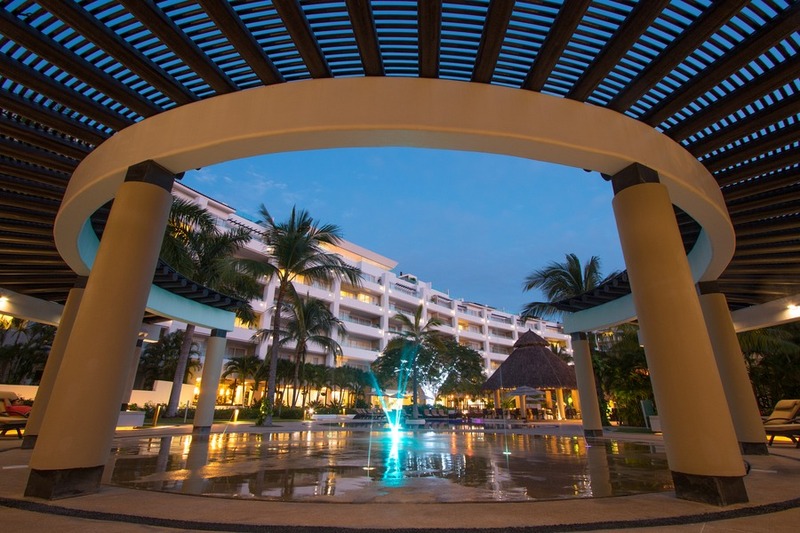 And you have a choice from casual poolside dining to convenient room service to upscale ala carte. Lemmon Grass: When the kids wouldn’t leave the pool, we just ate by it. 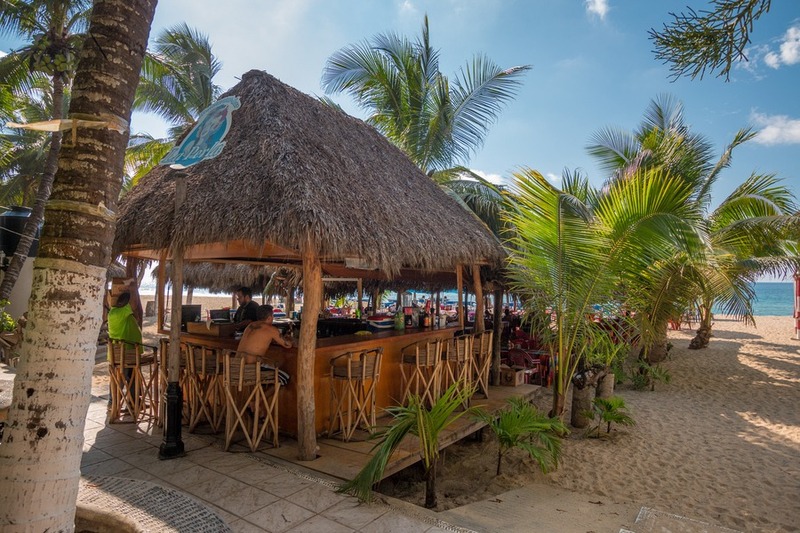 Pizzas, burgers, guacamole, it’s all there and of course comes complete with bar service. The buffalo wings were hot! And the fajita burrito delicious. 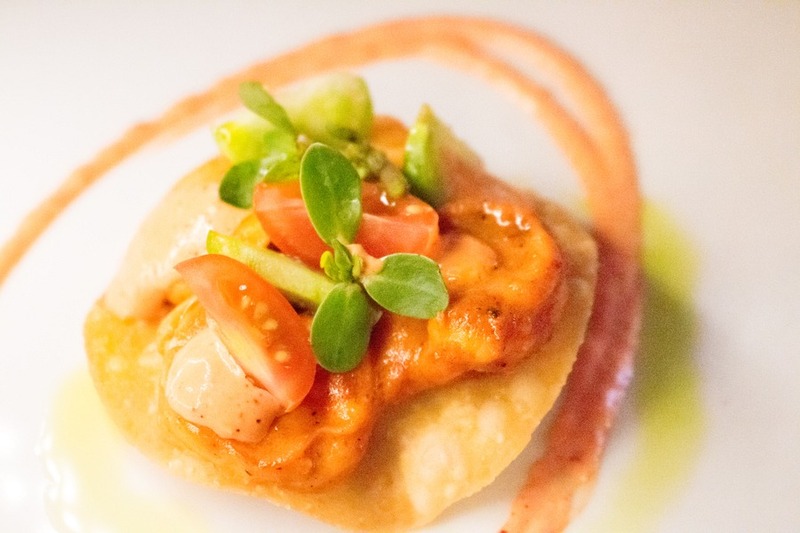 Omaggio: This elegant restaurant offered impeccable service and a classy menu. They even served lamb, my favourite. 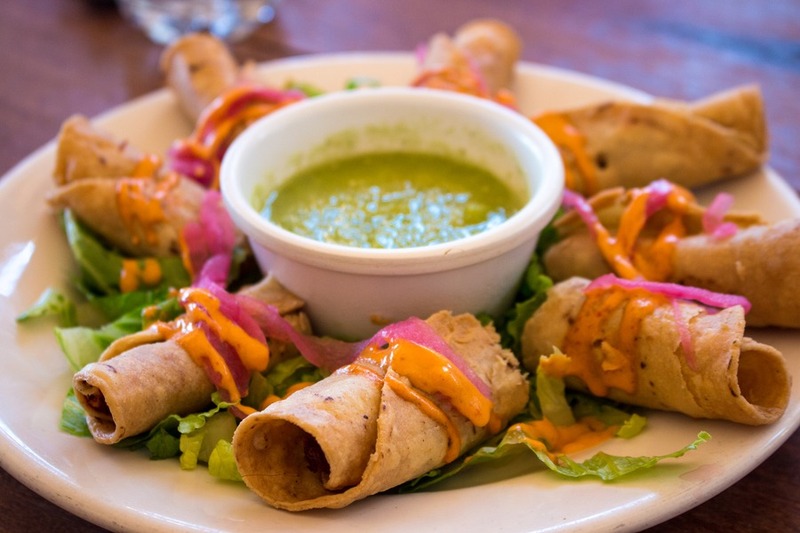 You may end up with one too many appetizers with all the delicious options on offer. Tip: you must try the arrancini balls. InSu: Take the elevator in the lobby to the top floor and you’ll find yourself with a roof top pool and bar - and in the evening a delicious menu. My only frustration was no food is served during the day when you could use the pool, and no pool at night when you came for food. Grill Al fresco: Set in the garden, this outdoor restaurant is exactly as described. 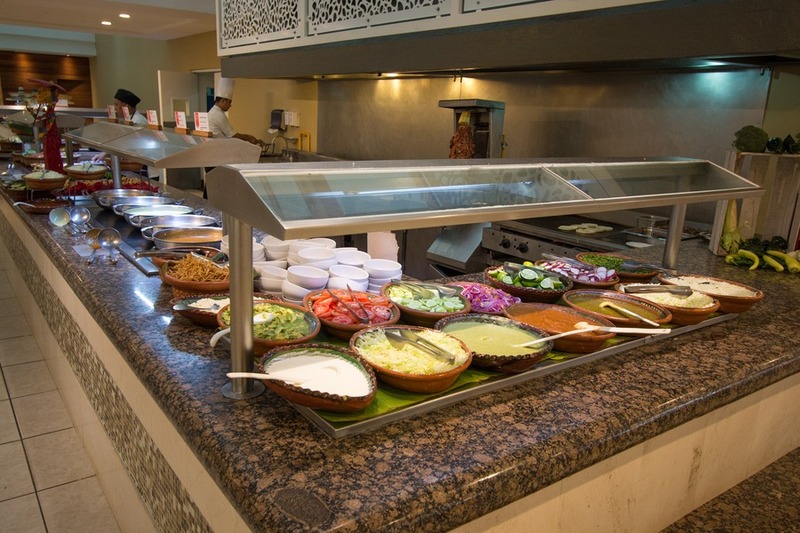 You can help yourself to a salad bar and the grilled meat is brought to you. Chorizo, chicken, steak, ribs with a side of baked potato, beans and rice. Oh my! Room Service: With so much action around the resort it’s nice to stay in once in a while. From breakfast in the dining room to cake in bed, the food was delivered hot and on time. 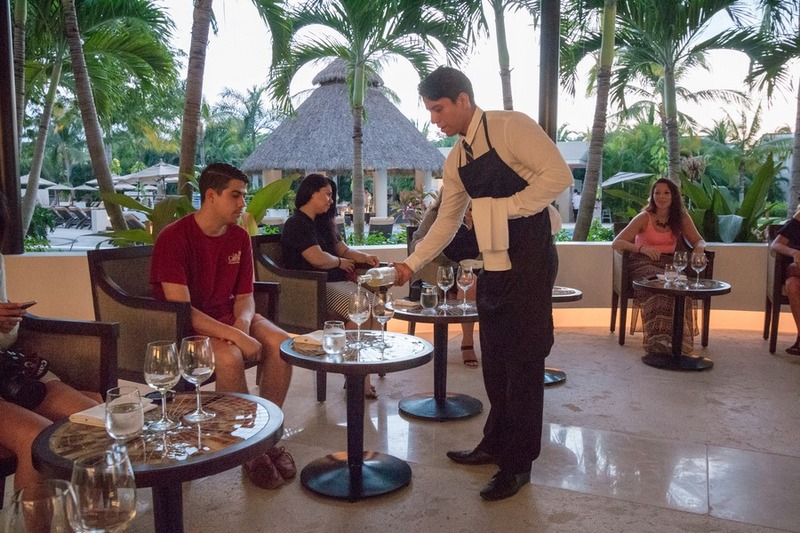 The menu is quite extensive, which is a nice surprise since most all-inclusive resorts feature limited menus. Brunello Lobby Wine Bar: Leave the kids playing the Xbox in the suite with the nanny and grab all the adults for this unique delight. A wine and food pairing! I have to admit I’m not usually a big wine drinker, but the food alone is worth enjoying this delightful evening. 5 wines, 5 small plates. Find out which wine is your favourite. 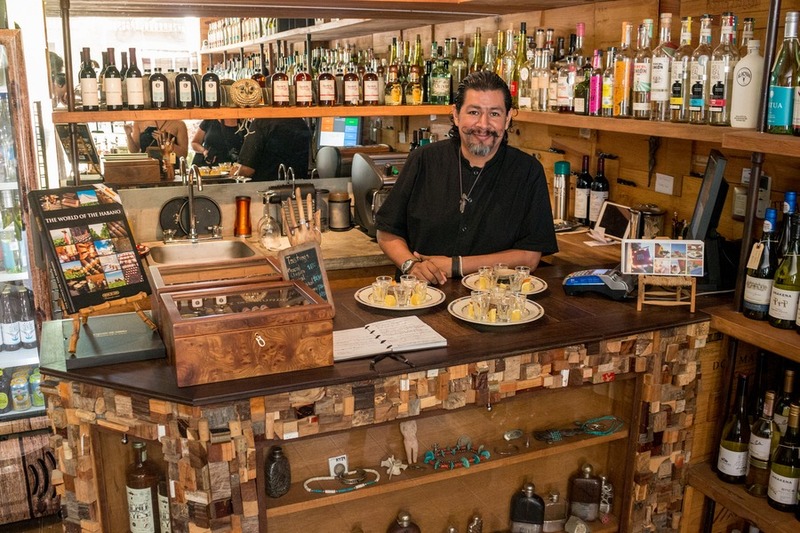 All local Mexican wines complete with background and history. 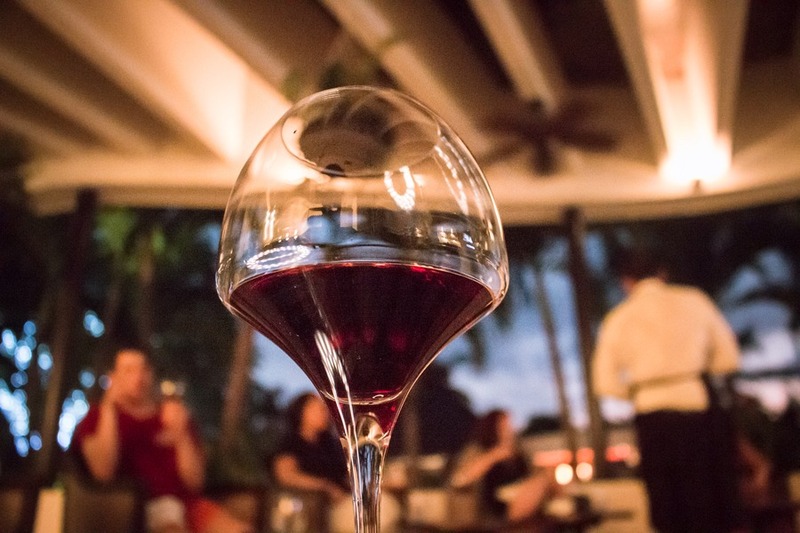 The tasting menu and wines change daily depending on the chef’s inspiration. 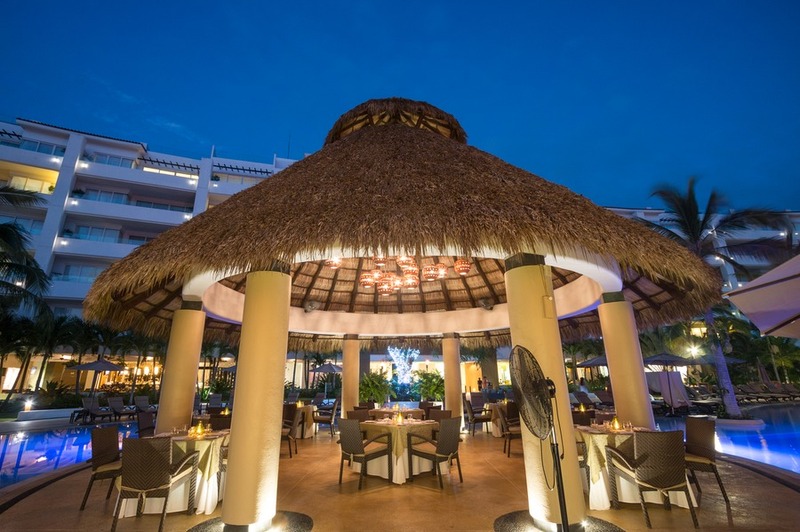 La Pergola (sister resort): The main restaurant here has a different theme every evening from Italian to Mexican. We headed over for the Mexican fiesta and tried a variety of foods we had never experienced before, as well as some much-loved favourites. 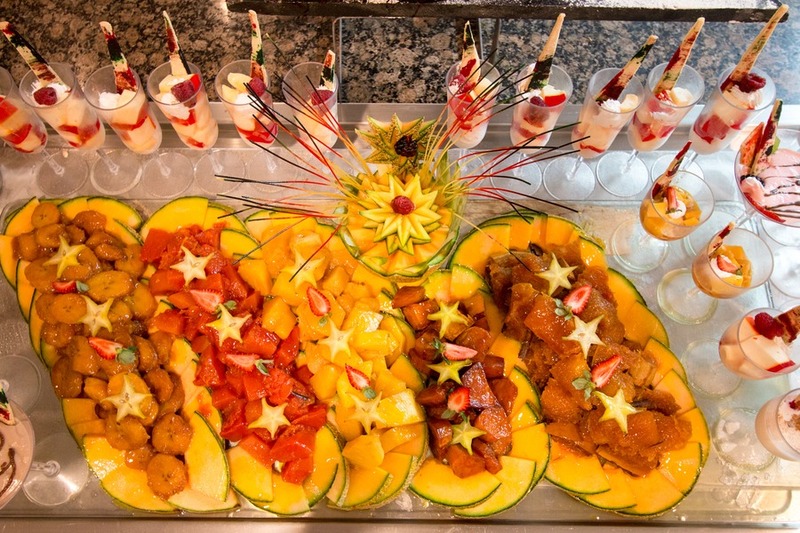 Plus they have an impressive dedicated kids buffet, complete with popcorn – yum! Afterwards we enjoyed a Mexican stage show complete with Mariachi. The kids even had the chance to smash a fun piñata. 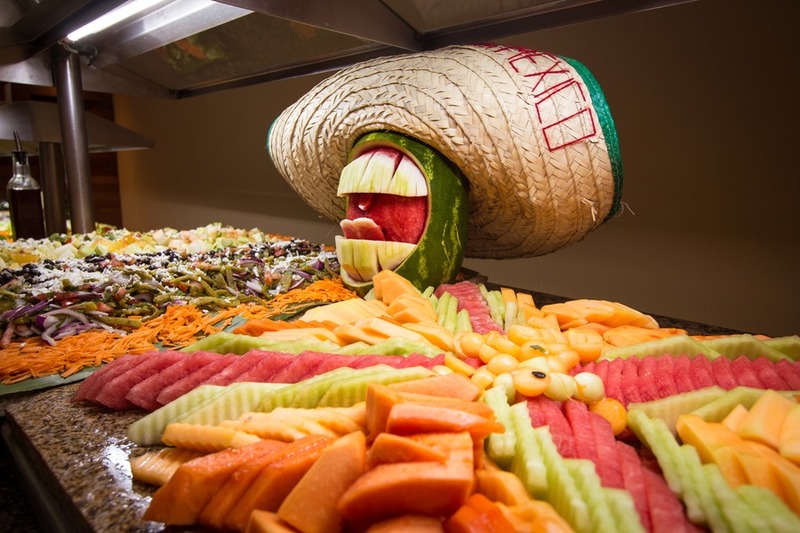 La Bamba Rodizio (sister resort): We stopped here briefly since the kids were having too much fun in the kids pool. A buffet of fries, hot dogs, burgers, guacamole and more. A convenient quick lunch stop. Piazzetta dei Forni (sister resort): How can you go wrong with fresh wood-fired pizza? Yum! Your concierge is the perfect person to organise any activities you want to do inside and outside the hotel. A series of small islands, about a 1 hour boat ride west into the Pacific Ocean, are home to a Hidden Beach that you’ve probably seen before on Instagram – it’s frequently rated as one of the top 10 beaches in the world, and is reachable from this tour from Punta Mita Expeditions... except when high tide is in, which is unfortunately when we visited. But while the formation (also known as Lovers Cave) was not accessible, others were! 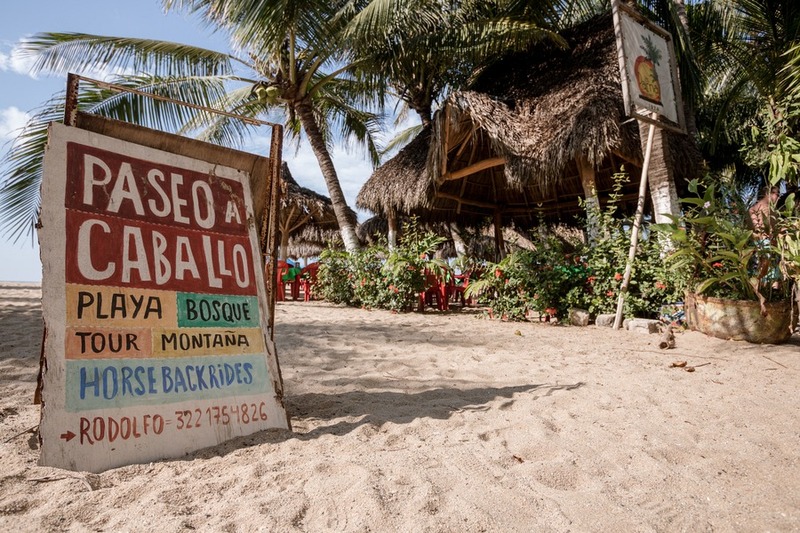 This is a must-see tour when visiting Riviera Nayarit. The protected Islas Marietas is no longer accessible to the public. 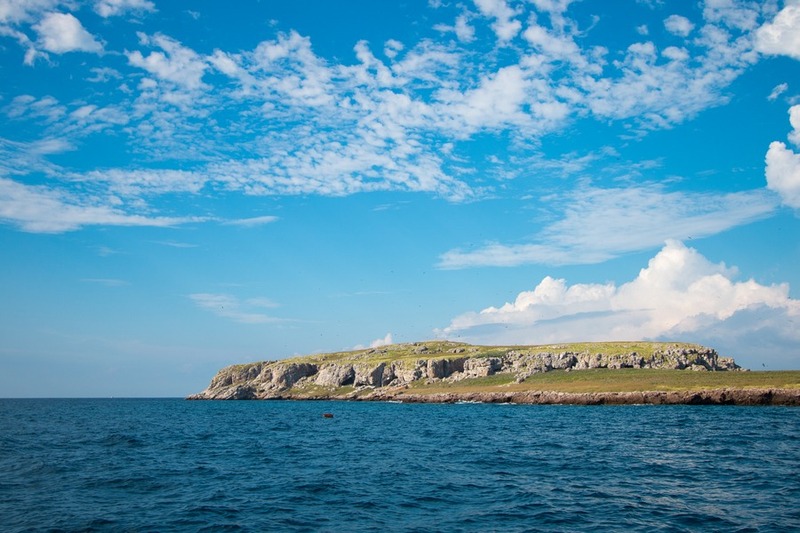 But you can cruise by its rocky shores to spot the rare blue footed booby and secret coves. 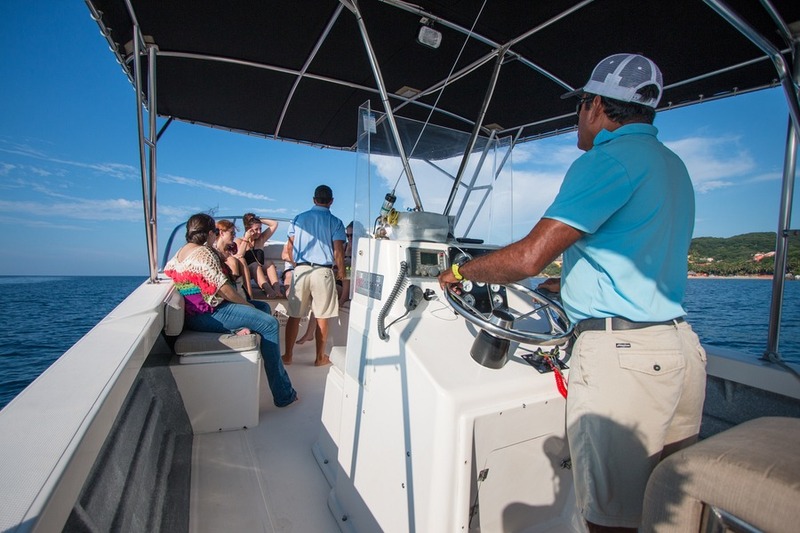 Once around the other side of the island the boat dropped anchor so we could get up close with the sea life. Donning snorkel gear we discovered colourful fish, caves, coral, and more. The water was not quite as clear as it’s Caribbean counterpart on the east coast, nor was the sand quite as white on these beaches, but the marine life is bountiful. Back on the boat we enjoyed snacks and soda… or an opportunity to stand-up paddleboard. A memorable morning spent in the gorgeous Mexican sunshine. 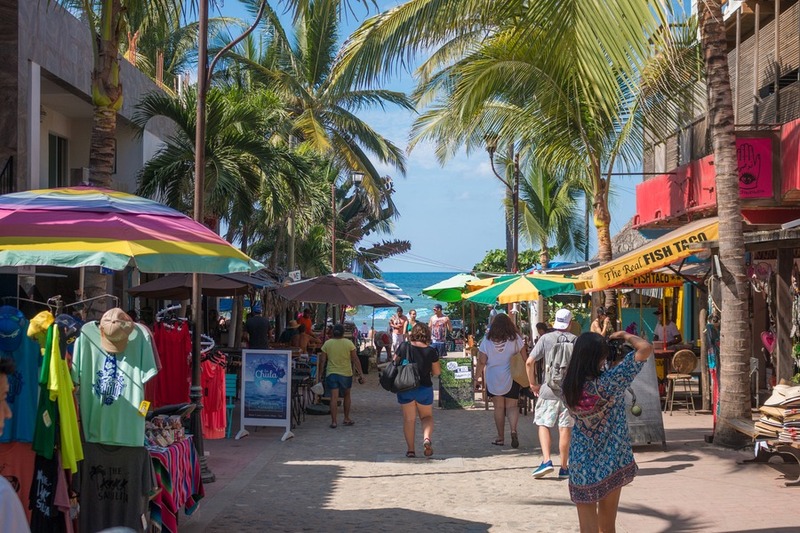 While out and about consider including a tour of the beautiful cities nearby like San Francisco and Sayulita. 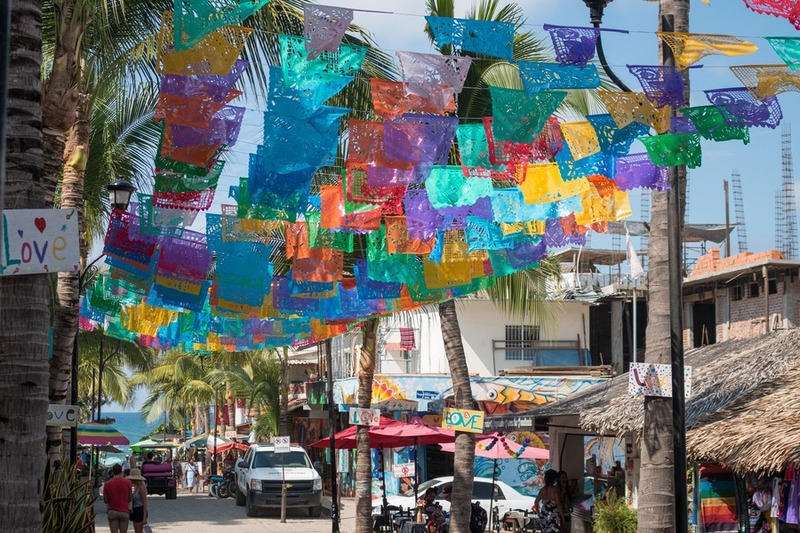 I highly recommend wondering through Sayulita, sampling local Mexican wine and spirits and eating fabulous food right on the beach at Don Pedro’s. Depending on where you stand on this activity, this may or may not appeal to you. 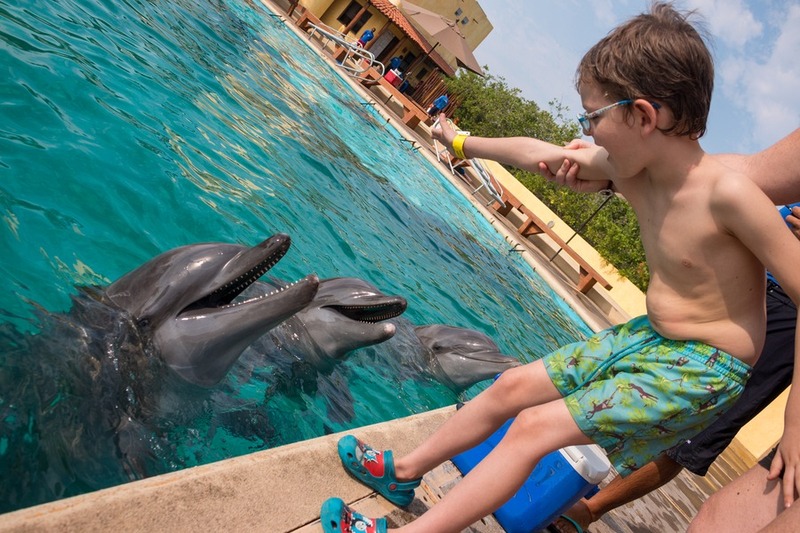 Vallarta Adventures is home to many rescued animals and is attempting to educate people on the importance of protecting our treasured sea life. 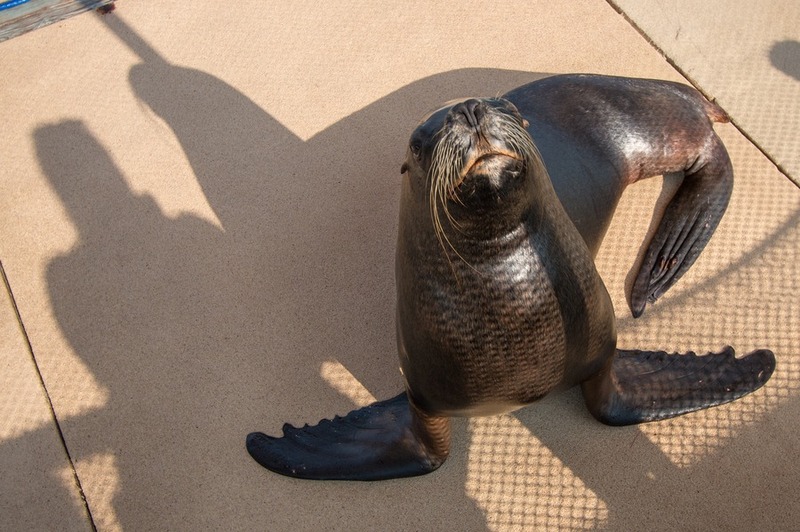 At the same time, they offer experiences such as jumping in the water and getting close and personal with Cassandra the sea lion. 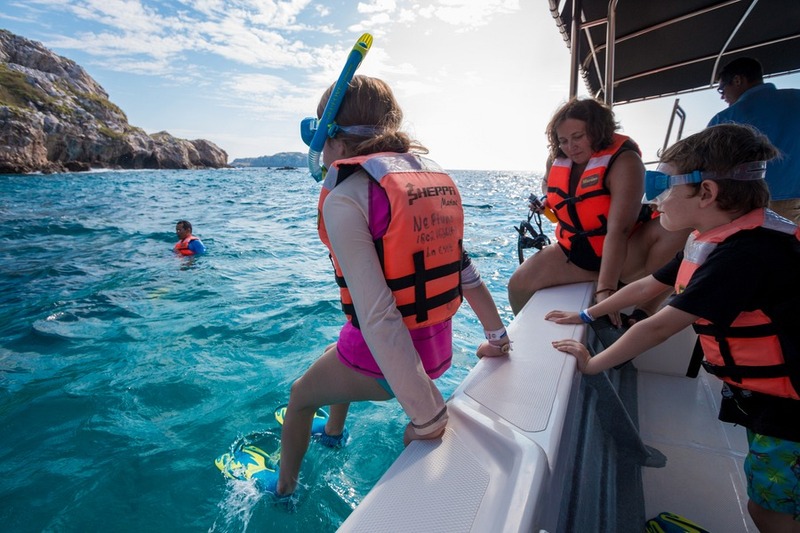 While our kids were nervous at first, they soon found Cassandra to be super friendly and they learnt more in half an hour with her in the water than they ever did before. 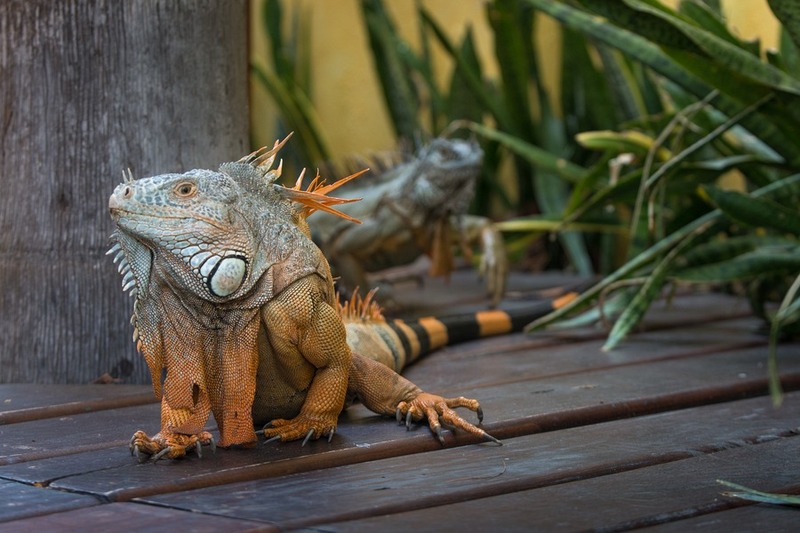 Around the park you will see any number of iguanas lazing in the sun and crossing your path. On our way out of the park we climbed some stairs to watch the dolphins playing. One of the staff happily invited us in and ran through his exercises with the dolphins, letting the kids reward them with fish. If you have a hard time making decisions, then you might need to visit this place 9 times! 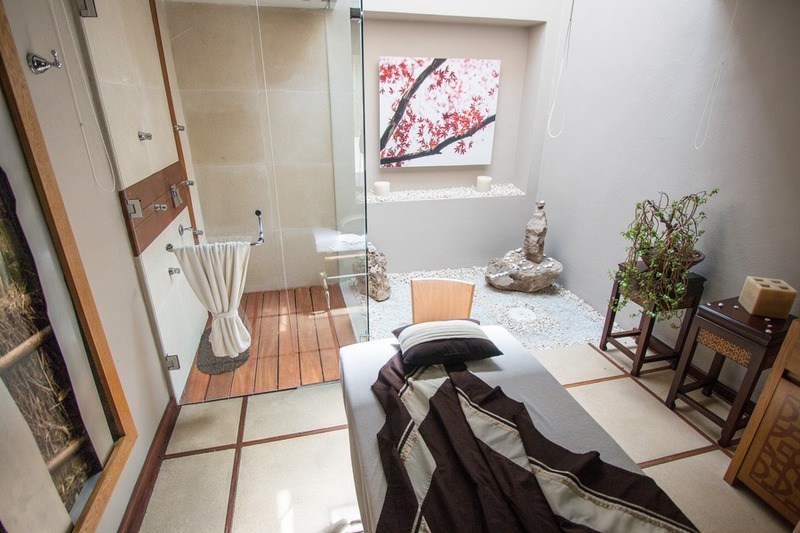 The Melange World Spa is the first of its kind I’ve ever seen. 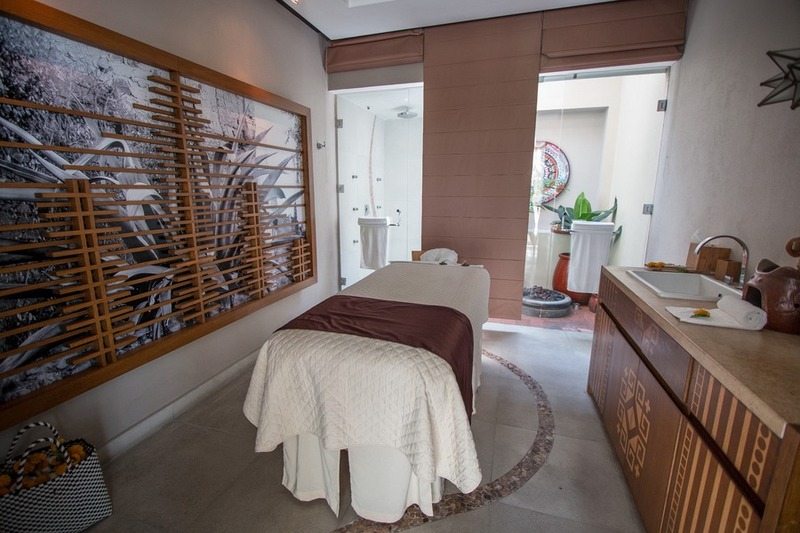 They have set up 9 different spa rooms inspired by countries that have all contributed to the relaxing, decadent form of the modern spa. And they all come with a neat little treat. 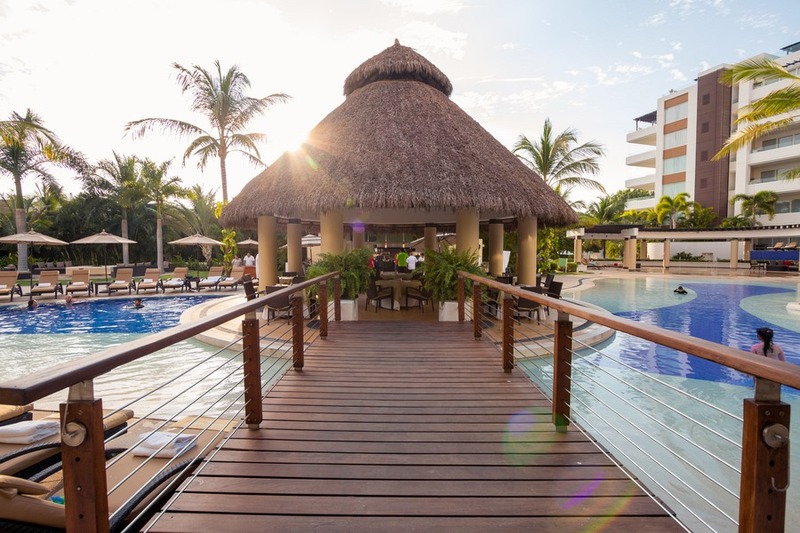 You might like to enjoy Mexico and its margaritas, Japanese shiatsu, a Turkish hammam, an Indian Shirodhara, Balinese aromatherapy, or a Russian sauna. 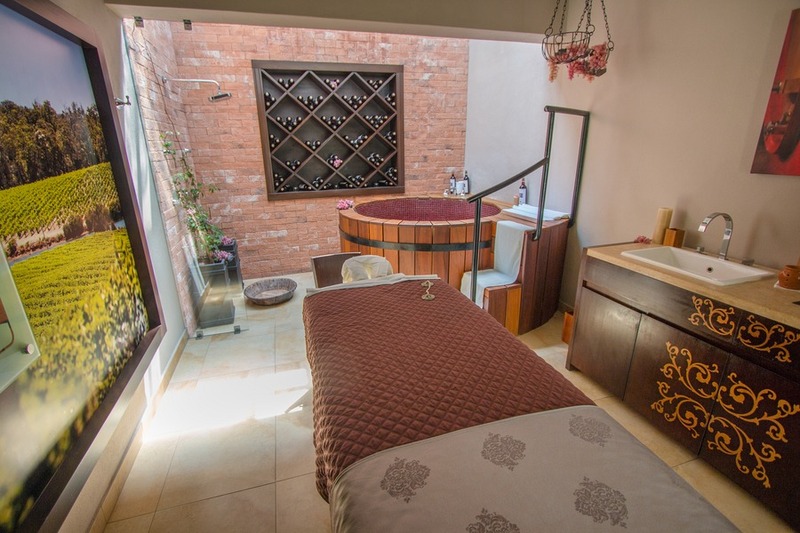 Alternatively, you might like the Italian room where you can crush grapes with your feet, followed by a wine bath in a wooden barrel with your own wine to sip. They also offer family massages. 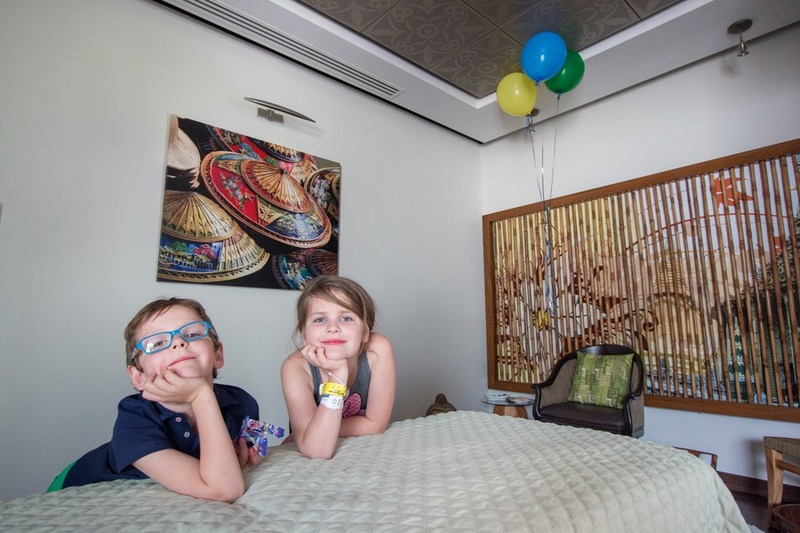 Josh and Caius enjoyed time in the Thai room with relaxing massages and fruit smoothies. While Mia and I indulged in a facial, foot and hand massage in the American spa. 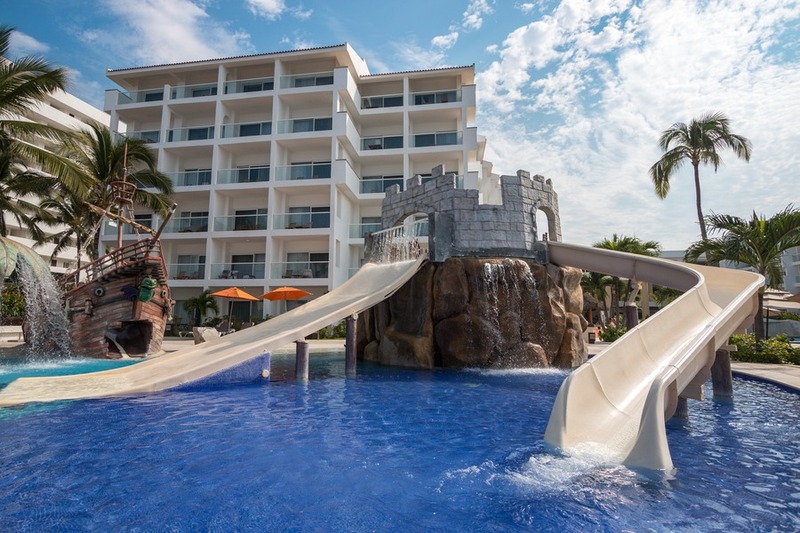 For a luxurious, no-stress family holiday, Marival Residences Luxury Resort in Mexico’s Riviera Nayarit is a smart choice. 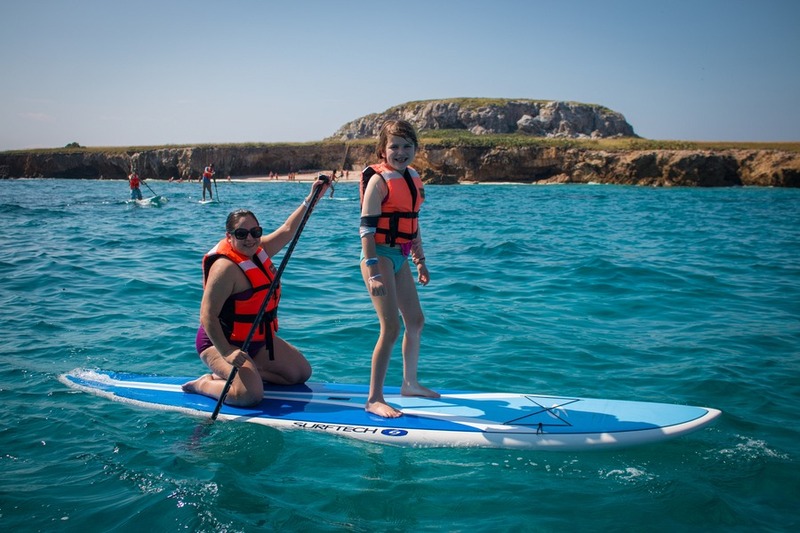 You have everything you need right at the hotel, all the bells and whistles of the Family Emotion package, and your kids will love every minute. What else could you want? Conditions: This promo applies for reservations made before December 31st 2016. 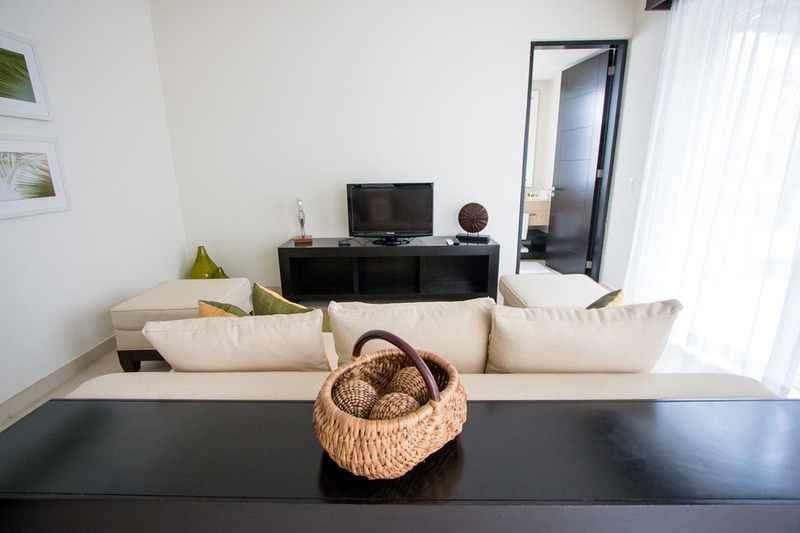 The promo code applies for a minimum of 2 nights stay and a maximum of 5. Amazing photography! thanks for sharing. 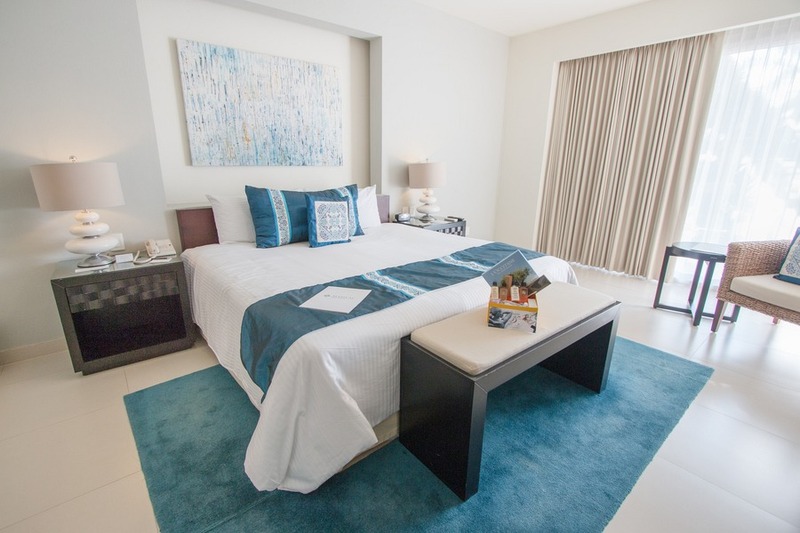 Thanks for sharing wonderful information about (9 Reasons Why I Fell For Marival Residences Luxury Resort).